As part of Hockeyland Canada’s season preview, each division will be examined one team at a time to identify players to pick and players to avoid. There are six categories of players covered and it’ll continue with the Pacific Division. Plenty of stud players for fantasy poolsters to familiarize themselves with, so lets keep it going with the Arizona Coyotes. The Elite Suite – The strength of the Coyotes has been on the back end, as they boast two elite offensive defenseman in Keith Yandle and Oliver Ekman-Larsson. Yandle is an elite source of assists, power-play points, and shots on net from the backend in fantasy. On top of all that, Yandle hasn’t missed a game the past 5 seasons and is as reliable an elite pick as you’ll find in the NHL. Oliver Ekman-Larsson is just entering his fifth season in the league, but has already established himself as one of the premier players in the game. With an emphasis on shooting more, OEL recorded 199 shots which led to a career high 15 goals last season. As a former 6th overall pick, the pedigree is there for OEL to take another step this season, as he is working his way into Norris trophy contention one day. 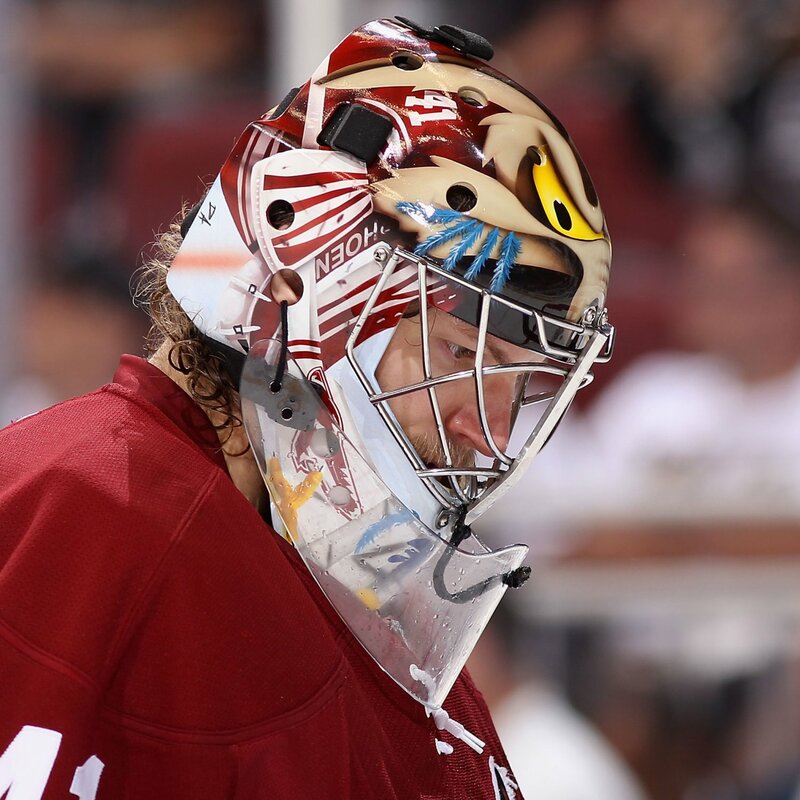 Dependable Joe – Mike Smith’s gaudy numbers in his first season in Arizona are looking to be an aberration, as opposed to the norm, in his game. Still, he was good enough to make Team Canada and should be good enough for 30 wins this season as he is sure to get 60+ games. Plan for a 2.50 GAA and 0.915 save % and Smith will be sure to deliver in front of a defensively oriented team. Martin Hanzal’s offensive numbers don’t jump out of the screen, as although he recorded a career high last season, it was only for 40 points. Considering he recorded those points in 65 games, there is reason for optimism, and he is a boon in leagues that record hits and faceoffs. Risky Plays – Exclaimed Coyotes lifer Shane Doan has a remarkably consistent career with unique longevity, but we are seeing his numbers on the decline. The 37 year old is still likely to score 20 goals and record 50 points, which is serviceable in deep leagues for sure. 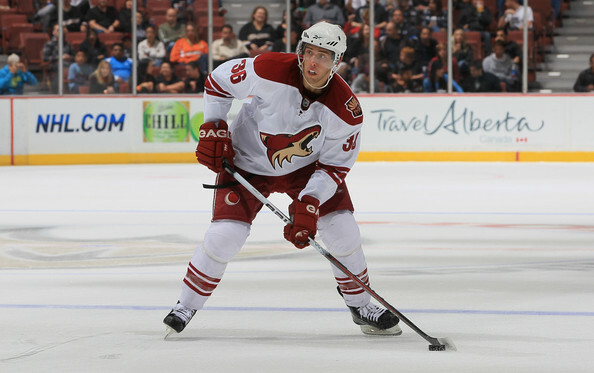 Its the dip in hits and shots that has us concerned for the fantasy poolsters who rely on Doan too much. Having shipped Mike Ribiero out of town for off ice behaviours, the Coyotes will have to miscast Antoine Vermette as their first line center. We know he’s had some revelatory years, but Vermette is too up and down for our liking in the fantasy game. Thought by some to take off on a team with Alex Ovechkin and Nick Backstrom, Martin Erat cost the Capitals prized prospect Filip Forsberg, and gave them a measly, a paltry 2 goals in 2 years. His best days weren’t that great, so don’t get too hyped up for Erat finding his game in an offensive desert, the Arizona Coyotes. Sleeper Seeker – Its been a long time coming for Mikkel Boedker’s breakout campaign, and it happened last season with 19 goals and 51 points. As the 8th pick in the 2008 NHL Entry Draft, the Coyotes have finally developed a home grown youngster with offensive upside. It may take some reinforcements to arrive for him to reach his full potential, but Boedker is just getting his career started and will be given big time offensive minutes this year. Rookies Ready to Break the Ice – The slow, painful road for Coyotes prospects led Max Domi back to his junior club, the London Knights of the OHL, and as some say, an unnecessary 4th junior season. Further down the pipeline, Henrik Samuelsson is turning pro and will start the year in the AHL, but could turn heads if injuries call him into duty as he plays a complete game. Even further, highly touted defensive prospect, Brandon Gormley, will have to suit up for a third AHL season, but may get a sniff sometime this year. Keep Eyes Peeled – A subject of criticism and scrutiny for years in Edmonton for not living up to his 6th overall draft slot, Sam Gagner is given a new lease on life in Arizona. His offensive numbers have been decent in the NHL, and were eye popping in junior, so he has the potential to top the 50-60 point mark. Being insulated by big bodies, like Martin Hanzal’s, will help the smallish Gagner, something he didn’t have in Edmonton.